Txx Will rocked the stage two nights in a row. If you weren’t there you missed one hell of a show. Txx Will performed along side with Lejo and Terrell at Toyz In The Hood II at Aftershock Bar & Grill. 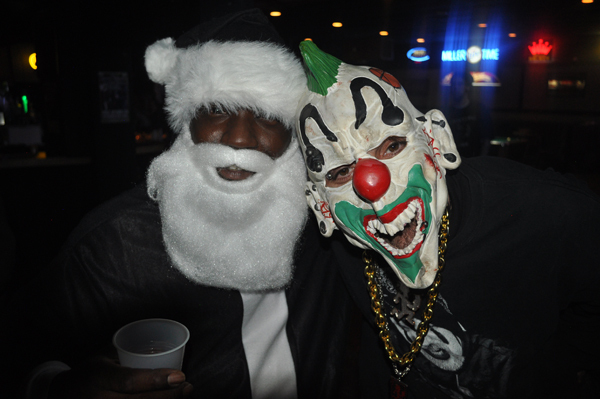 If you were there early then you saw Txx Will in his Santa outfit handing out over $100 in toys for the under privileged, and then rock the house. Either way, be ready for the next show coming up December 16th at Balanca’s in Kansas City, MO. Txx Will is taking the show world by storm and isn’t stopping. MAXIMUM VOLUME The DVD available now.